The ECB has just launched full-fledged quantitative easing but the ECB’s watershed decision highlights both the strengths and the vulnerabilities of the Eurozone. The limited-risk-sharing provision flags the need for greater fiscal union; and much-needed structural reforms. 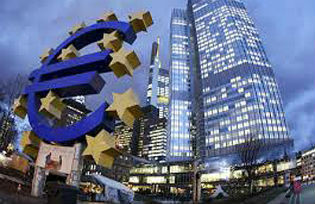 The launch of Eurozone QE (ECB 2015) was eagerly awaited by investors and preceded by contentious discussions in Eurozone policy circles. Countries still struggling with weak growth saw it as a necessary step to help a recovery, while Germany and other northern EZ members were worried that ECB purchases of government bonds would ‘mutualise’ government debts and undermine incentives for fiscal prudence. The ECB has done its best to square the circle. It’s important to note that the ECB’s decision is fully justified by its inflation mandate. * The collapse in oil prices has increased downside risks, and inflation expectations have moved lower. * Purchases will be substantial – €60 billion per month (comparable to the Fed’s QE3, Annunziata 2012) until end-September 2016, for a total of over €1.1 trillion. QE could be extended beyond September 2016 if the inflation target is not yet within reach. * Asset purchases will now encompass investment-grade bonds issued by governments, national agencies and EU institutions. This is in addition to asset-backed securities and covered bonds, which were already included in existing programs. Since the latter were running at about €10 billion per month, additional purchases will be in the order of €50 billion per month. This is near the top end of what market were expecting. * Purchases will be proportional to the shares of EZ national central banks in the ECB’s capital. These capital shares are proportional to the respective countries’ GDP and population sizes. This aspect was the obvious choice. It reinforces the idea that government bond purchases are undertaken for monetary-policy purposes and not to alleviate the funding needs of specific countries. Conveniently, this feature will benefit Italy, which has the third largest ECB capital share and the largest public debt burden. * There will be specific conditions for bonds of countries (like Greece) under EU/ECB/IMF programs. This, presumably, will require the countries to be in compliance with the program’s conditionality. It may also open the possibility of eligibility even with a sub-investment grade rating. QE could encompass Greek bonds, depending on how things develop after this weekend’s Greek elections. The devil is in the risk-sharing details (also see Giavazzi and Tabellini 2015). * 12% of new purchases will consist of EU institutions bonds, and will be subject to risk-sharing. This is perfectly logical, and these should have very little risk anyway. * The EZ national central banks will shoulder the risk for the rest of the purchases. Assuming the 8% held by the ECB does not include EU institutions bonds, this means that 12% + 8% = 20% of new purchases will be subject to risk sharing—as per Draghi’s statement at the press conference. * Put it a different way, this implies that 91% of government and agency bonds will not be subject to risk sharing. For every €100 of additional purchases, 88 will be government and agency bonds, which minus the 8 held by the ECB will leave 80 out of 88 as a risk of national central banks. The limited risk-sharing sends a message. * As long as fiscal policy is national, the risk of government debt should stay largely within national borders. This is an important reminder that additional steps towards fiscal union are needed. * Without greater centralized control on national public finances, Germany and other northern member countries will always be reluctant to be on the hook for the debt of their more profligate partners. Sooner or later, this will be a problem. QE, however, suggests this problem is unlikely to arise over the next couple of years. * QE will ease financing conditions and help keep government funding rates at low levels, including for high debt countries. * QE is not enough to restore growth, but it will help. In 2015, the Eurozone will benefit from lower oil prices and stronger US growth. With QE supporting low interest rates for longer, and an even weaker currency, I see increased potential for upside surprises to Eurozone growth this year. QE and a better growth outlook, sadly, increases moral hazard risk. Stronger and sustainable growth requires difficult structural reforms to make markets more flexible and create the conditions for more innovation and higher productivity. For governments, however, the temptation to rely on ECB bond buying and a weaker currency will be strong. QE will buy the Eurozone some precious time. But we need progress in structural reforms, improvements in national fiscal policies, and a strengthening of Eurozone institutions for this window of opportunity not to be wasted. Giavazzi, F and G Tabellini (2015), “Effective Eurozone QE: Size matters more than risk-sharing“, VoxEU.org, 17 January. Annunziata, M (2012), “QED: QE3“, VoxEU.org, 17 September. De Grauwe, P and Y Ji (2015), “Quantitative easing in the Eurozone: It’s possible without fiscal transfers“, VoxEU.org, 15 January. Marco Annunziata is the Chief Economist and Executive Director of Global Market Insight at General Electric Co. In his position, Marco is responsible for global economic, financial and market analysis to support GE’s business strategy. He is a member of the ECB’s Shadow Council. His book The Economics of the Financial Crisis has been published by Palgrave MacMillan (2011).